Quadrant Pharmacy has an experienced, friendly and caring team. Our Pharmacists, available to you without an appointment, are the most accessible healthcare professional. You can choose to speak to them over the counter, or if you prefer, in our private consultation room. At Quadrant Pharmacy we have increased our efficiency by investing in technology, and are the first pharmacy in St Albans to install an automated dispensing robot. This ensures accurate and speedy assembly of your prescription, and, more importantly, allows our staff time to spend with you, our patient. We have a large team of support staff ensuring our processes for dispensing your medicines are accurate and efficient. We have prescription collection services via electronic transfer of prescription or paper collection from all St Albans City GP practices. 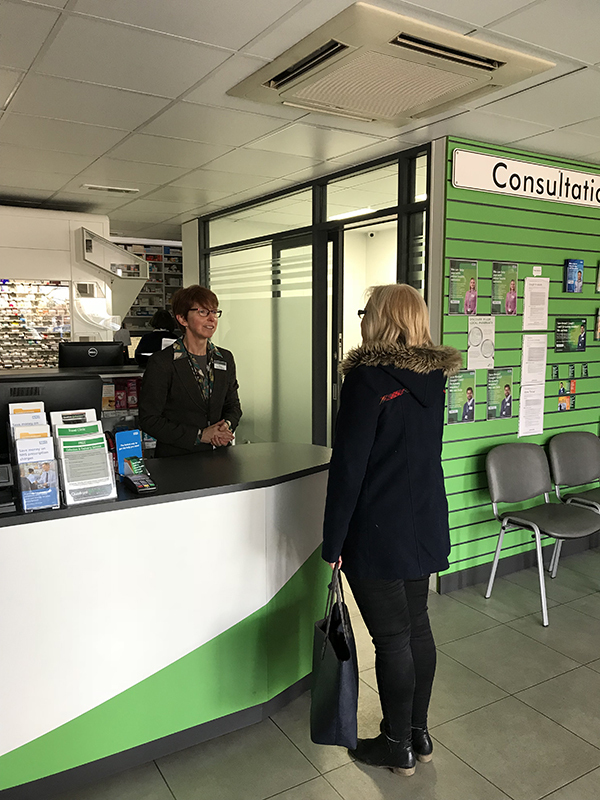 Our team members include Pharmacists, Accredited Checking Technicians, Dispensing Technicians and Healthcare Counter assistants. Don’t forget, there’s FREE PARKING too!